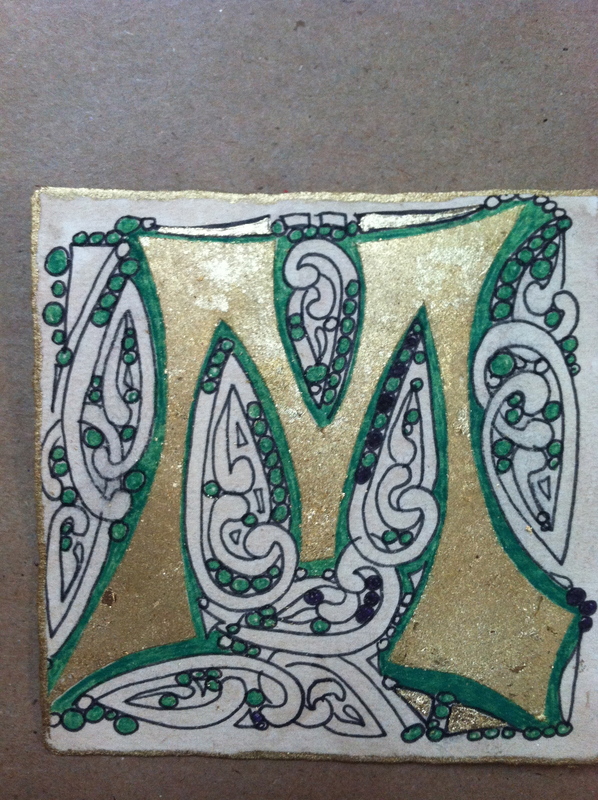 The ARTbar Studio/ARTstarters - Zentangle Fun with Illuminated Letters! Zentangle Fun with Illuminated Letters! Sorry - this class is full. We will offer it again in October! For this session, we learn about walnut ink (for aging) and gold leafing, along with the Zentangle pattern called Mooka. Plan to stay after for studio time if you would like to add more detailed drawings to your illuminated letters. Studio Time is fun play time in our studio where you can work on your own project, or continue working on class projects ($15 extra, reg. $25).